Pool season is just around the corner, which means so is swimsuit season. Take advantage of the time that is left to get into tiptop shape! Here are several small tips that can make a big difference in the way you feel in your swimsuit. You read that right. Rather than eating three large meals each day, keep your metabolism working by eating six smaller, healthy meals. By eating this way your blood sugar is regulated, and you feel less hungry during the day. It is important to note that reducing your caloric intake is important to weight loss, so while you are eating six meals a day, they should not be huge meals, snacks rather. Each meal should include healthy, nutritious foods. Reliable snacks include yogurt, nuts, eggs, fruits, vegetables, and whole grains. Water is one of the strongest weight loss tools you have. The benefits of being well-hydrated are endless. To help control portions, drink two 8 ounce glasses of water before each meal. This will help to make you feel fuller causing you to consume less. Additionally, water is great for improving skin appearance, controlling bloating, and can reduce the appearance of cellulite. If you get tired of drinking water all day, spice it up by adding slices of fresh fruit and herbs. Mint and lemon is great combination! 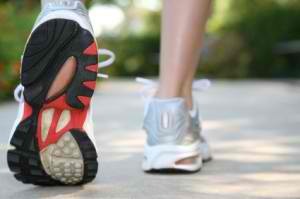 Exercise is extremely important for weight loss, as well as for your overall health. If you do not exercise currently, start by aiming for three 30 to 45 minute sessions each week. Go for a power walk, run, bike ride, or head to the gym. You can make small changes that can really power up your weight loss. For example, park further away in the parking lot, take the stairs at work, or eat your lunch while taking a 30 minute stroll during the day. If you currently exercise, try to increase your routine by five or ten minutes to get the extra burn. Many people don’t realize that by strength training, you can actually lose more pounds. For every three pounds of muscle you gain, you burn approximately 120 more calories a day without doing anything. That doesn’t mean forfeit your cardio routine, but try adding weights to your routine. For an extra burn, try switching between bursts of cardio and weights during each workout session. For an instant appearance of pounds lost, stand up straight! Many people don’t realize how much they can slump over during the day. By simply standing up straight you can appear taller and leaner. Not only is it good for appearance, but it is actually better for your back to stand up straight. So shoulders back, stomach in, smile, and feel great!